Molly's new calendar available at Zazzle in three sizes. coupon codes on the Zazzle site to save! 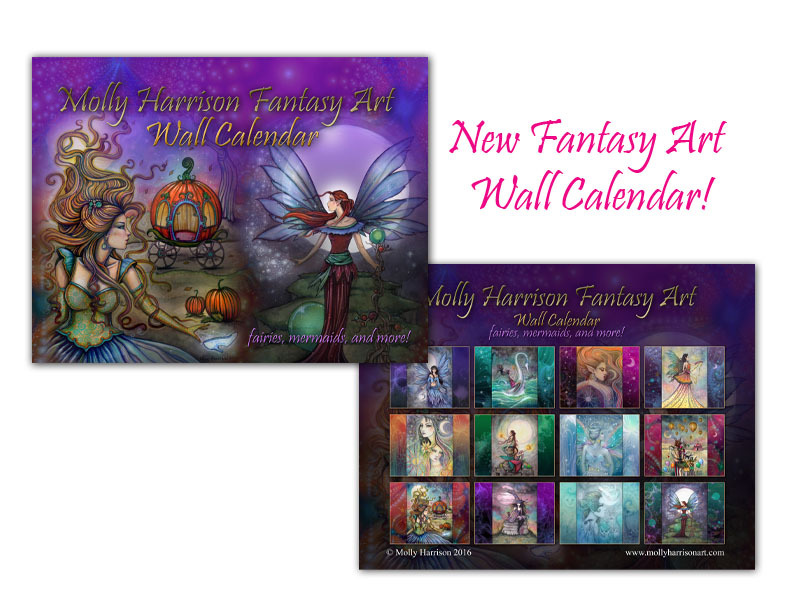 SOLD OUT Below is Molly's 2018 Fairies Calendar - Designed, printed and bound in Molly's home studio. Limited Quantities available. 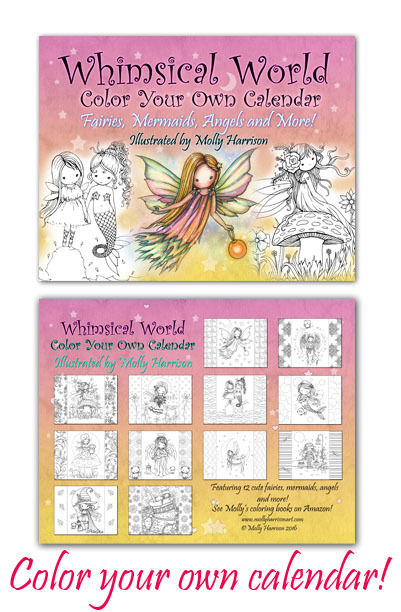 Below is Molly's Mermaid Calendar featuring her most popular mermaid images - available in three sizes at Zazzle.com. Customizable start dates! Something new and FUN! 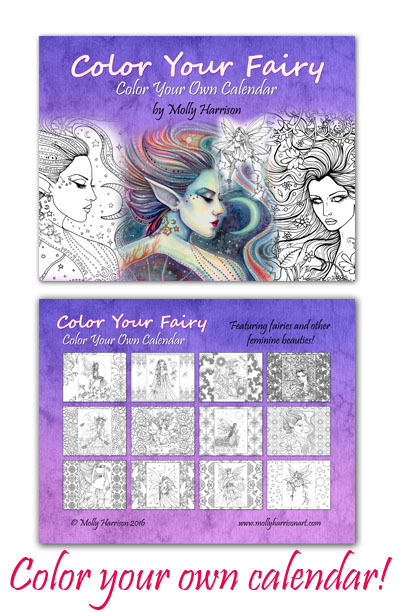 The two calendars below are "color your own"! They come printed in three sizes on semi-satin, sturdy paper. Click on images to view more at Zazzle!